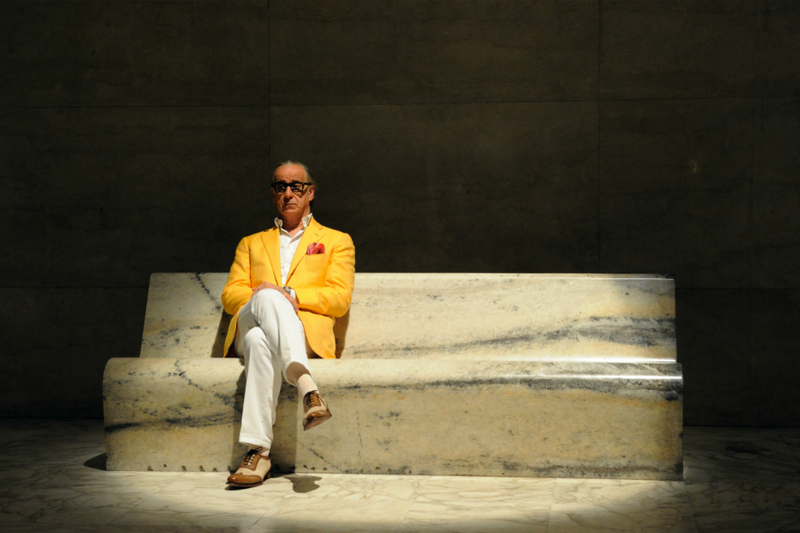 Hosted by the Liverpool Architectural Society, Paolo Sorrentino’s Oscar and BAFTA-winning Italian film (pictured above) will feature an introductory lecture by Italian scholar Carla Molinari. Rich with cinematography, the film stars Toni Servillo as he attempt to become the ‘King of the High-Life’, in this reflective satire of Italian life under billionaire Berlusconi’s rule. The oft-hailed Godfather of British performance art Stuart Brisley (below) introduces a new live work and film programme this week; set to transform into his alter-ego, the curator R. Y. Sirb, engaging the audience and interacting with surroundings in a 24-hour long perform piece personifying the ghastly Greek myth of Procrustes. 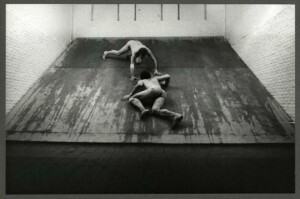 Films in the selection include Arbeit Macht Frei (1973), which presents a bodily objection to genocide and Nazism, having evolved from Brisley’s 1972 performance And For Today Nothing, and In Being And Doing (1984), Brisley’s collaboration with filmmaker Ken McMullen documenting the history of performance art since its birth from ancient European folk rituals. Liverpool Lift-Off is back: the film festival that aims to jump-start the careers of indie filmmakers. Expect Last Summer (2014) at 3pm, a sad tale about a young mother who is about to lose custody of her son; and Blue Desert (2013) at 7pm, following a man who tries to understand the meaning of life and find his soulmate in a metaphysical world. To finish the day, a selected programme of shorts from filmmakers worldwide will be watched and voted on by you — the audience — at 9pm. Liverpool’s favourite kraut-psych band had a busy 2015: managing to squeeze in an industrious US tour (including Austin Psych Fest), release a collaborative album with Damo Suzuki from Can, plus record new double album Magnetic Seasons (Rock Action Records) at Whitewood studios in their home city. Known for recording the last ever Peel Session, and collaborating with US grunge legends Mudhoney, the band ask us to expect ’a real gear shift’; expect moments of greatness. A free, week-long festival of new music, sonic arts and audio-visual installations from The University of Liverpool: expect Britain’s foremost living composer, Sir Harrison Birtwistle (whose music combines ideas across contemporary art and classical mythology) to be brought to life by conductor Clark Rundell with the Royal Liverpool Philharmonic Orchestra’s Ensemble 10/10; new soundtracks for two 1920s films, F.W. Murnau’s Sunrise: A Song of Two Humans (above) and Walther Ruttmann’s Berlin: Symphony of a Metropolis; electronic music explored with composer Manuella Blackburn and world-famous trombonist John Kenny; and much more. Until Thursday 10 March 10. This all-day event will explore the dream and the images of the subconscious, and how they influence the artist and their oeuvre. Inspired by Sigmund Freud’s 1907 talk and publication Creative Writers and Day-Dreaming, this abstract mesh of reality and the dream world works to understand how the creative mind of the artist works. Featuring a video conference at 6pm, this event is not one to be missed for those interested in the intersection of art and psychology. Join the Art Lending Library (above) on it’s last stop in the South: a project created to lend works of art free of charge to be enjoyed by the general public. 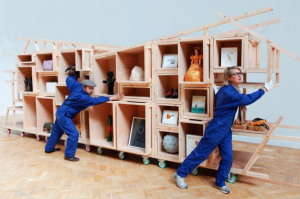 Consisting of a hugely diverse range of over 50 pieces by contemporary artists, the works are housed in wooden crates which all stack together or can be taken apart, visualising the concept of giving and borrowing into a societal, fluid sculpture. Celebrate International Women’s Day with National Museums Liverpool’s Women on the Waterfront series, curated to observe the achievements of females and the history of feminism. This performance piece takes you back to 1918, when the right for women to vote was finally made law, and how this new law impacted the lives of working class women in Liverpool.